Whenever I pass through my local Cost Plus World Market, a place of wonderful things, I always take a walk through the candy aisle. Obviously we’re pocky fans around here, but I’ve always been more a gummy man myself. It might be my German heritage, but indeed Haribo macht mich froh. That greeting card is standard size mind you. 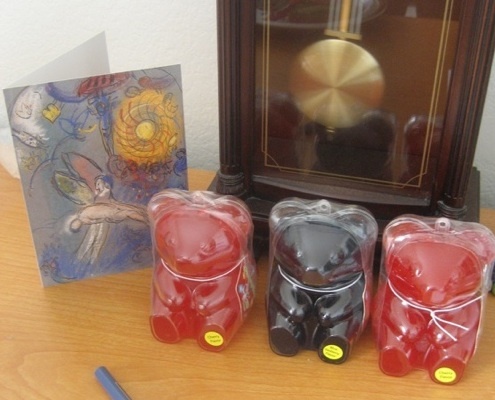 Each bear packs in a whopping 105 grams of sugar- let the gummy feast begin!